Welcome to Banksia Women’s Healing Centre. 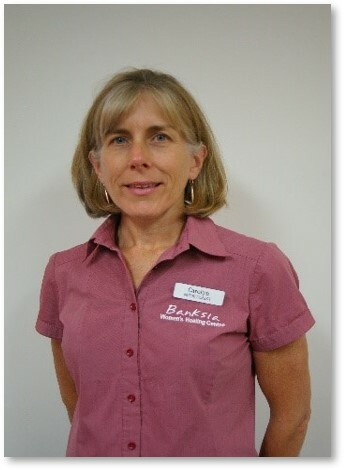 My name is Charmaine Renaud and I am the owner and director of Banksia Women’s Healing Centre, Arana Hills. It has been a passion of mine to offer to you a healing centre where you can be nurtured as a woman, helping you to feel calm, relaxed, energised and healthy again. The reason why I do what I do, is as women we are always juggling life and often feel overwhelmed, exhausted and stressed, we put up with it and don’t know where to turn for some help to get off the round about of life. Now here is your chance to be a new woman and feel fantastic! I have a professional clinic at Arana Hills which is very central to the Hills District, providing natural therapies, programs and workshops. Providing supportive natural therapies to clients in the Morten Bay Regional Shire, Brisance City Council and surrounding Ferny Hills, Ferny Grove, Keperra, The Gap, Samford, Mitchelton, Everton Park, Everton Hills, McDowall and Albany Creek areas. To tell you about myself – my training started in 1994 with Reflexology and moved on to Massage, Anatomy and Physiology. I opened Charmaine’s Massage in the same year at home. In 1995 and 1996 I studied the Australian Bush Flower Essences with Ian White, the developer of the essences. I also studied Sports and Acupressure Massage part-time at Hepburn’s College of Natural Medicine. In 1997 and 1998 I furthered my studies in Anatomy and Physiology, and commenced my studies in Chinese Acupuncture Medicine. At the end of 1999 I become a qualified Acupuncturist after completion of my Diploma of Health Science (Acupuncture). In 2000 I relocated and opened Centre. Following further study throughout 2001, I received a Bachelor of Health Science in Acupuncture through the Victoria University on 1st April 2002. I continue to undertake ongoing professional development to ensure my clients benefit from the latest treatments and research. During 2011 I studied Kinesiology which has helped move the physical and emotional aspect of the healing process especially for women and their emotions, even mine. Each year I continue updates of health learning thought different companies and colleges to stay qualified and pass this onto my clients. it was during 2012 acupuncture became registered with the Australian government which I am a member of. In 2013 after 18 years working from home it was time to move Banksia Healing Centre from Ferny Hills to a commercial property giving our clients their solution to a natural healthy life. With this came the name change to Banksia Women’s Healing Centre. We all know Happy Wife equals Happy Life and that is what my passion is about. To help women just like you to be happy and healthy naturally. Kate Pattison is a member of the Australian Acupuncture and Chinese Medicine Association (AACMA) and is registered with the Australian Health Practitioner Regulation Agency (AHPRA). 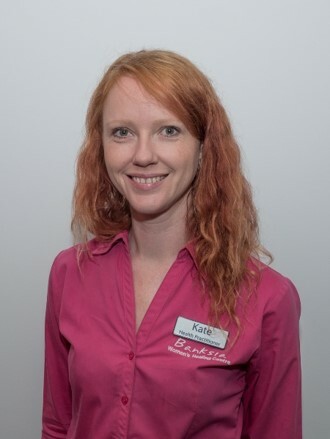 Kate undertook her training at the Australian College of Natural Medicine and Endeavour College of Natural Health, where she qualified with a Bachelor of Health Science and a Cert IV in TuiNa massage (Translated as push/pull, utilising Acupuressure points) in 2010. She also completed an internship in Guanxi China where she practiced at three hospitals to further advance her knowledge and skills in Acupuncture and Traditional Chinese Medicine (TCM). Kate also has a Blue Card that enables her to work with children and young people. Kate always knew that she would be working in a field that involved helping people. It was not until she experienced the benefits of Acupuncture herself in 2003 that her interest was sparked in the TCM field. In which she began her own journey in 2004 into the world of preventative medicine. Kate has a particular interest in women’s health, stress, headaches, emotional disorders and musculoskeletal conditions. In her support of women she incorporates Acupuncture, Chinese TuiNa massage, Cupping, Gua Sha and moxibustion. Kate has a natural joy and enthusiasm for life and healing. She believes deeply in the power of education and teaches her clients how to avoid further health problems with life style and dietary guidance. Carolyn has been an accredited member of the Australian Traditional Medicine Society since 2004. She is a firm believer that we can all enjoy a positive relationship with food, nourishing and nurturing our body with nutrition that is the right fit for each of us. After the onset of some skin issues and weigt gain in her mid-twenties, Carolyn tried many diet plans with varied levels of short-term success. This experience along with her desire to help empower others, lead her to seek the truth about food. She embarked on the study of a Diploma of Health Science – Nutrition, at the Australian College of Natural Medicine Brisbane and upon graduation in 2005, was presented with the Award for Excellence in Nutritional Medicine. She has continued to follow her passion for Food as Medicine alongside raising a family, making it an essential part of a busy, active family life. Experience has proven that good health begins in the gut and healing the gut has remained one of Carolyn’s areas of strong interest. Prior to studying her diploma, Carolyn lived and worked abroad, settling in England for three years and travelling (with backpack!) to Western and Eastern Europe and Asia, followed by another three years in France and Italy – including the lesser-known French Island of Reunion – igniting a true appreciation for culinary simplicity and flavours. Carolyn has always sought to do things a bit differently. She believes that nutrition is not about counting calories or kilojoules; but nurturing our bodies with the abundance of fresh foods available to us, learning what foods are right for us, which ones are beneficial for us at different life stages and how to prepare and enjoy them. Her approach is about getting back to basics with food – fresh, simple, wholesome and healing. She enjoys partnering with her clients to support and encourage them on their journey to nurture the body back to full health and vitality, recognising the challenge we face to maintain a balance and fit good nutrition into our busy daily lives.